Such a wonderful collection of short stories. I tried to delay reading it until the paperback came out but I couldn't resist. I highly recommend this if you enjoyed The Brief and Wondrous Life of Oscar Wao. 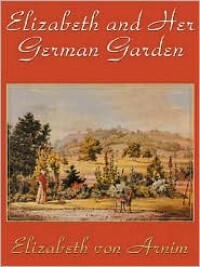 It's a collection of short stories but very much reads like a novel. This is an amazing list! Got several great titles to add to my TBR pile. 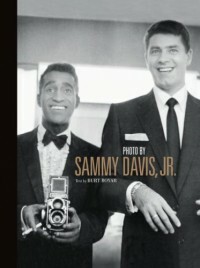 A gorgeous and very large coffee table book filled with exquisite photographs of real life movie star weddings and on screen ones as well. 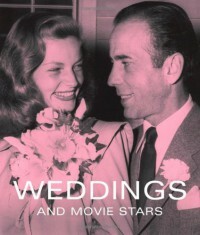 Spans most of the 20th century but focuses primarily on weddings from the 1920s to the 1970s. It weighs 7 pounds and is 11.75 w x 13.75 h. So this book is quite big! I guess I had high expectations for this one and was disappointed. I don't think listening to it on audio help as the narration and sound editing was very poor. 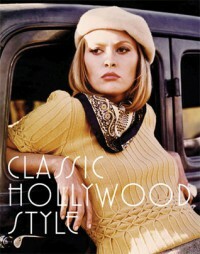 Caroline Young's background is in Literature, Film and Journalism but her love and appreciation of classic Hollywood fashion is quite evident in this book. She takes a look at 34 films starting with Camille (1921) and ending with The Thomas Crown Affair (1968). 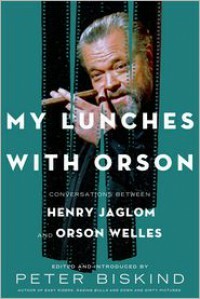 Other notable films include Gone With the Wind (1939), Casablanca (1942), Gilda (1946), The Seven Year Itch (1955) and Breakfast at Tiffany's (1961). There is a nice mix of popular films as well as some lesser known ones. There are 3 films from the 1920s, 7 films from the 1930s, 8 films from the 1940s, 11 films from the 1950s and 4 films from the 1960s. Each movie gets 3 spreads, 6 pages total with a couple movies getting an extra spread, 2 pages. There are many full page images but the focus really is on the text. Young explores the decision making of the fashion, the relationship between designer and star, the cultural influence of the film's fashion as well as the role the fashion plays in each film. There was a big error in the book in which the author claims Joan Crawford was the queen of MGM in the 1930s when that actual title went to Norma Shearer. This error rubbed me the wrong way. If the author and publisher were willing to fix it, I'd bump my review to 4 stars. It's really an enjoyable read and it's well-researched but I'm a big Norma Shearer fan so I couldn't overlook that big error. This is a weightlifting book written by a man but specifically designed for women. Why should women have a different workout book? Why can't they just use the same one a man does? 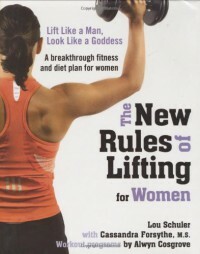 Lou Schuler argues that a woman builds muscle differently than a man does hence the reason why he wrote this book. Also it's because he got a lot of requests from women who wanted a version of his The New Rules of Lifting for them. This book provides a whole different way of looking at weight loss and exercise. Schuler's tone is very assuring yet stern. He tells you like it is but is also very encouraging. He's pretty much what you would want out of a personal trainer. I would recommend this book to any woman who wants to be physically stronger and is sick of the hamster wheel that is endless cardio. If you like to work out alone, this is a good book. You'll have some guidance but it's up to you to put the advice and the exercises into practice. Breasts. They are really important. In fact, they are more important than you think. We are "mammals" because of them. Breasts (mammaries) and the ability to give milk to our young is what sets us apart from the rest of the Animal Kingdom. And even though they are incredibly crucial to human life as we know it, as author Florence Williams points out, they are misunderstood. Are breasts for men? Are they for babies? What's their purpose? Why are human breasts so big and pendulous? 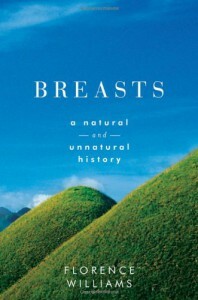 Williams explores the neglected science of breasts. How they function, how ours compare with other animals, how women use them to breastfeed and how they can make us sick. 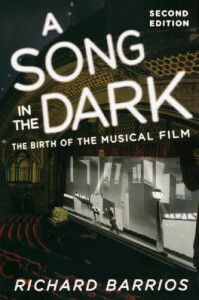 I was instantly drawn to this book from watching the book trailer: http://www.youtube.com/watch?v=I0kVuYZ4PvM However, I felt a bit misled. The book is not humorous nor does it give a lot of social or historical context. It's primarily focused on science. Which would have been fine and I blame the publisher for marketing it as something it is not. The book is very eye-opening and enlightening and I enjoyed Williams' writing style. 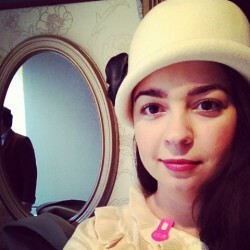 It did, as a woman, scare me as to what the future of my health will be with my breasts. 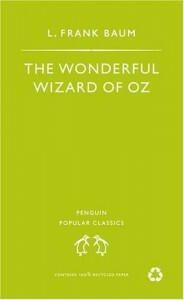 I read this book just before and during my trip to Hawaii. Which enriched the experience that's for sure. Especially since I got to visit some of the locations mentioned in the book! This book is about more than just Charlie Chan. 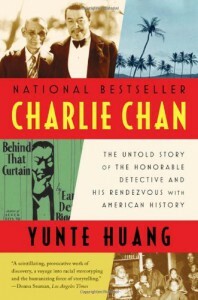 It's about Chang Apana, the Chinese American Honolulu detective who inspired the character, Earl Derr Biggers, the author of the Charlie Chan books and the legacy they both left behind. It's also about Chinese Americans in Hawaii and the early History of Hawaii especially it's law enforcement. You also get quite a bit about Charlie Chan as a fictional character however that is not the main focus. It took me a long time to convince myself to read this book and a long time to finish it. But in the end it was totally worth it! 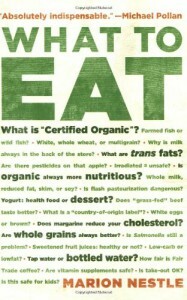 Very informative and enlightening and Marion Nestle shares personal insights which add context. Warning: you may never look at food and food marketing the same way again. A wonderful adventure! I listened to this on audio, Anne Hathaway narrating. That Audible version doesn't seem to be listed on Goodreads though. Having despised the movie for years, I'm surprised I picked up the book. And even more surprised that I liked it as much as I did. I highly recommend Anne Hathaway's narration which was top-notch. I think I want to read the physical book later though. What a delightful book! I had high expectations for this novel, considering how much I loved Meg Medina's Tia Isa Wants a Car, and I wasn't disappointed. 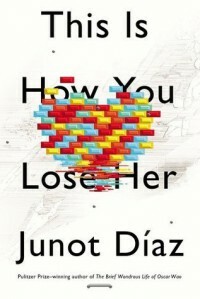 I really hope that more publishers will put out Hispanic-interest fiction for middle-grade and YA readers. 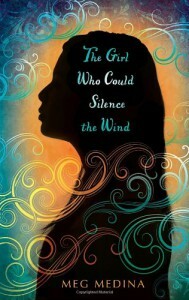 There aren't enough wonderful books like The Girl Who Could Silence the Wind out there. Very funny book! The fact that there was no central character took a little getting used to but it worked. I was very environmentally minded as a teenager and now having read this I realize how different it is being an environmental minded teen today than it was 15 years ago. Back then it was required to go vegan to be green. 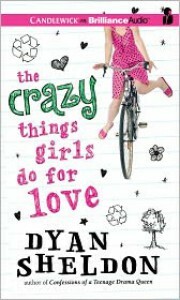 Dyan Sheldon does a great job writing teen characters and this book is another example of that. I listened to this book on audio and found myself laughing in my car at numerous occasions. The narrator did a good job but she did enunciate a little too much at certain points.